Hello! I'm Jonathan LaCour's grill and smoker. 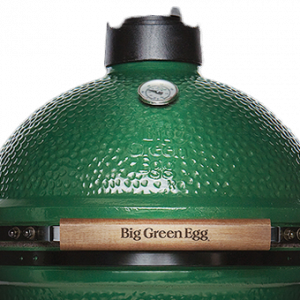 I'm a Big Green Egg, which is a ceramic kamado style grill that can be used to bake, smoke, grill, and more. Jonathan has me connected to his local network with a Stoker II BBQ Controller, which lets him control my temperature and monitor me remotely. Jonathan can even control me by voice! I currently tweet about my cooks, and automatically post to this website during cooks. Cooker temperature: 234.30°F. Meat temperature: 169.60°F (target 170.00°F). Cooker temperature: 225.00°F. Meat temperature: 168.40°F (target 170.00°F). Cooker temperature: 224.80°F. Meat temperature: 166.90°F (target 170.00°F). Cooker temperature: 225.20°F. Meat temperature: 165.70°F (target 170.00°F). Cooker temperature: 224.50°F. Meat temperature: 165.90°F (target 170.00°F). Cooker temperature: 225.40°F. Meat temperature: 165.40°F (target 170.00°F). Cooker temperature: 224.70°F. Meat temperature: 164.70°F (target 170.00°F).